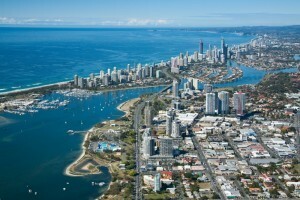 Southport is near the midpoint of the Gold Coast with a population of Approximately 28,315. Southport is recognised as the central business district of the Gold Coast & it has the cities largest area of office space with over 18 high rise towers! Which is why we provide bookkeeping services to Southport! As a busy business suburb, Southport bookkeeping needs include new and existing software set-up. We can provide both onsite bookkeeping and offsite bookkeeping to any type of business in Southport. Still want to know more about your Bookkeeping Southport Specialist? Cant recommend highly enough, made our book work so much easier to decipher and I understand my business position so much better. Fast and so friendly. Thanks for making the accounting side of things easier! The AAS team have gone out of their way to provide my business with outstanding support and trusted advice. Any business looking to gain clarity or improve their systems needs to spend some time with Soonah and her team! All I can say is WOW!!!! I’m so impressed awesome reporting!! Our Accountant does nothing like this! Align yourself and your business with an Astute Bookkeeper today! !